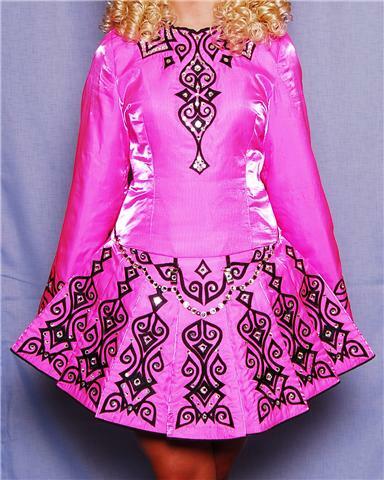 Beautiful Celtic Yarn dress ,Immaculate condition never altered. Good stage appearance covered in Swarovski crystals. Pictures dont do the dress justice, much more vibrant pink in colour. Never been altered imaculate condition selling due to growth.